Tony Daniels was the original voice of of Jedite and Wiseman in the DiC dub of Sailor Moon as well as various ancillary characters in the DiC and Cloverway dubs of Sailor Moon. He has voiced many characters including Gambit in X-Men: The Animated Series; Maxum Brain in Sidekick; Boris Balkov, Dunga, and Rick Anderson in Beyblade; and Hawkeye in Avengers: United They Stand. He is also well known for being the voice of Tony the Tiger, the mascot for Kellogg's Frosted Flakes. 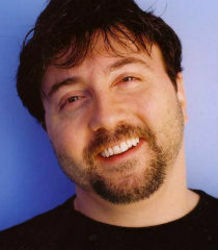 Tony's voice talents further extend to impressions and the ability to mimic a variety of accents.